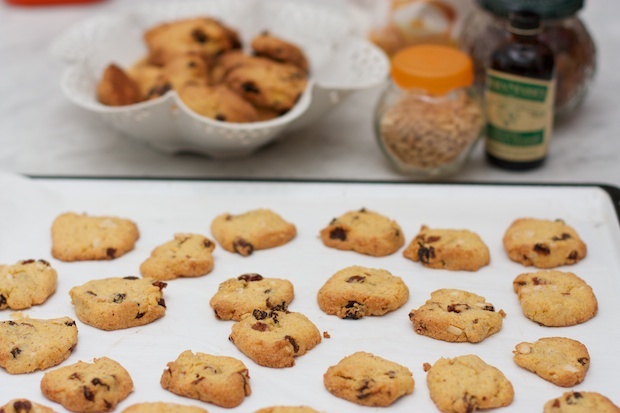 It is said that “zaleti” cookies come from a recipe born in Friuli, but became famous in Venice, where they were sold on the street or door to door. The name “zaleto” which means yellow in Venice, comes from the use of corn flour which gives them their classic color. 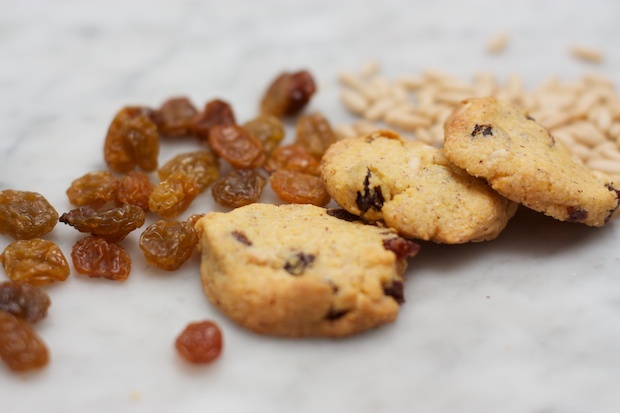 Zaleti cookies are very crumbly and are suitable to accompany a nice cup of tea or coffee. They can also be used conclude a meal when accompanied with a small bowl of zabaglione that is still warm. Pour the flours in a large bowl, add small pieces of butter, a pinch of salt, vanilla, and mix together the flour and the butter with your hands. If you will derive a lot of coarse crumbs. Add the egg yolks, sugar, pine nuts, raisins (that have been first soaked for a few minutes in warm water and dried), then add in the rum. Quickly knead to form a dough. Wrap with plastic wrap and let stand in a cool place for at least 30 minutes. Meanwhile turn the oven to 350F. Cover the baking tray with baking paper. Shape the rolls and cut into rounds. Place them in the baking tray and bake for 15-20 minutes. The indicated doses make 3 batches of cookies (3 wire racks in the oven). Serve after they have cooled.